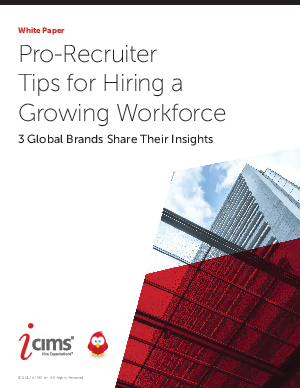 That’s why companies that have grown into multi-national corporations, have reached the 1,000+ employee mark, or are opening new branches across the country may be well-served to reassess their recruiting strategies, to be sure they have the best possible framework in place to support ongoing growth. When armed with the right approaches, talent acquisition teams can be confident that whether the company tops the Fortune 500 list or opens up an office in Asia, they’re ready and able to keep making quality hires. And with consideration to our key pro tips, even individual recruiters can help build a solid, scalable framework for long-term hiring success.